I asked the question Sunday, “Are you ready for Christmas?” For most people the Christmas season is a time of celebration and joy. Students get a break from school, many get some extra time off from work and many will have plans to get together with friends and family. Unfortunately, the holiday season is also a reminder of the cruelty of life. Tens of thousands of homeless Americans will spend Christmas alone. Many impoverished children will have nothing to eat. Divorce and domestic abuse mean that for some families, the season will be anything but jolly. The truth is that while we wish everyone would have a very merry Christmas, a great many people will only suffer through the season. Like most pastors, I try to remind my flock every year about the reason for the season, namely that Christmas is a time to remember that God came into the world as a human being so that He might become a Savior to all people. But even these words ring hollow in the ears of those who can’t find enough to eat or fix a life in shambles. “Where’s the good news in a story about a man who died two thousand years ago?” they ask. I want you to remember something this holiday season: The gospel should be good news to everybody. You can’t talk to the poor and the hungry about the sweet-by-and-by while they’re suffering in the nasty here-and-now. In Luke 4:18, Jesus declares, “He anointed Me to preach the gospel to the poor. He has sent Me to proclaim release to the captives, and recovery of sight to the blind, to set free those who are oppressed…” He then proceeded to do the very things He proclaimed. He healed the sick, restored sight to the blind and fed the hungry. Before He talked to the people about how He was the Bread of Life, Jesus took the time to feed thousands of people with a few loaves and fishes. Jesus’ gospel is both spiritual and tangible. For the people who are hurting the most, the intensity of their present pain prevents them from hearing about the future hope. Christians are called to spread that gospel, which means not only are we to tell the world the story of Jesus Christ, but we are to offer care for the needy and oppressed along the way. We are to do our part in easing the burden of the oppressed in our communities. As we are able, we should assist in restoring broken relationships, and feeding the hungry. While we should declare the future hope of Christmas, we must also bring the present hope of the season to those who need it most. This Saturday at 12 noon we will meet at the church to move some furniture. If anyone has a truck that we could use to move some items to a new home please let us know. We have a surplus of desk in our offices and if anyone would like to have one just contact me or Pastor Eva. If no one wants the desk we will move them to the salvage yard. The young adult small group is meeting on Saturday December 17th at 10am in the Fellowship Hall to prepare some hot chocolate for the homeless living downtown. They are also going to distribute socks and gloves as well. Anyone is welcome to join them in this ministry outreach. If you cannot go but would like to donate some socks or gloves we will have a box in the entryway of the church to collect those donations. We have an immediate need for a Sunday school teacher/worker in the nursery. If you would like to help please see Stephanie Heer, Pastor Andy or Pastor Eva. We need teachers/workers for our KinderChurch (ages 4, 5, and 6 years old). This Sunday morning we will have guitarist David Smart sharing with us a concert during our worship service. 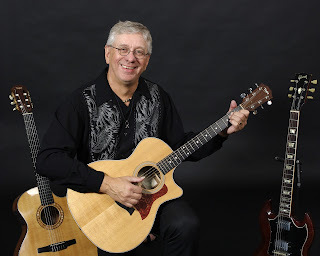 David has been a teacher at Mid America Nazarene University and has taught guitar many students. 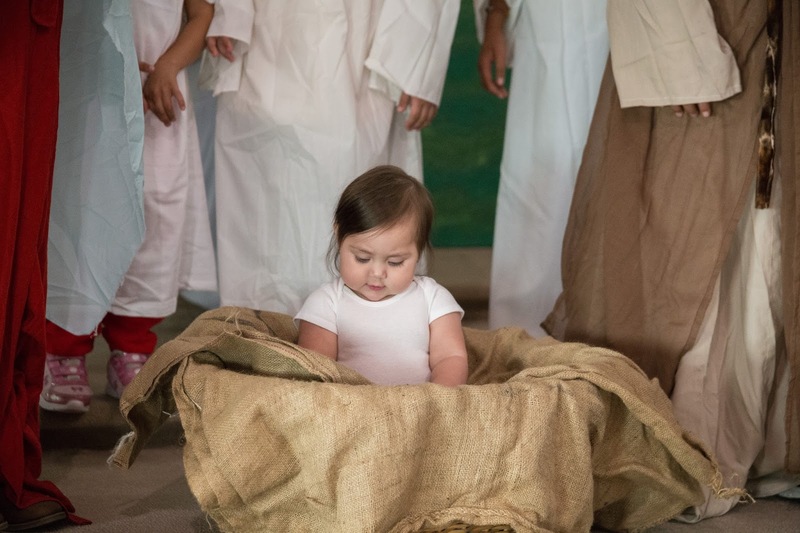 Sunday morning December 18th our Children will be sharing with us the story of Jesus’ birth. There will be a piñata for the children following the church dinner. We need candy donations (chocolate and hard candy) to be brought to the church by December 11th. There is a box in the entryway for those donations. On Sunday December 18th after the Children’s Christmas Program we will share a potluck meal at the Fellowship Hall, and everyone is welcome. The church is providing the meat (Turkey and Ham) and we are asking everyone else to sign-up to bring side dishes. There is a sign-up sheet in the entryway of the church. This is a great time to invite your OIKOS, so bring some food to share and let’s celebrate! You may not be aware that our church has a directory of our church families with photos. Recently we have seen several new families who want to make Eastridge their church home, so we want to add you to our directory. I will have my camera at church the next couple of Sundays if you would like to have your photo added to the church directory just tell me or Pastor Eva. I know I’m not a big fan of getting my photo taken but I think this may help us get to know one another. It should also help new people get connected quicker as they put names to faces. We have a Sunday school class for all ages. Our Sunday school classes begin at 9:45 am. Recently we added a class for young adults which meet in the room in the back of the church sanctuary. Currently they doing a study on how to read and study the Bible.